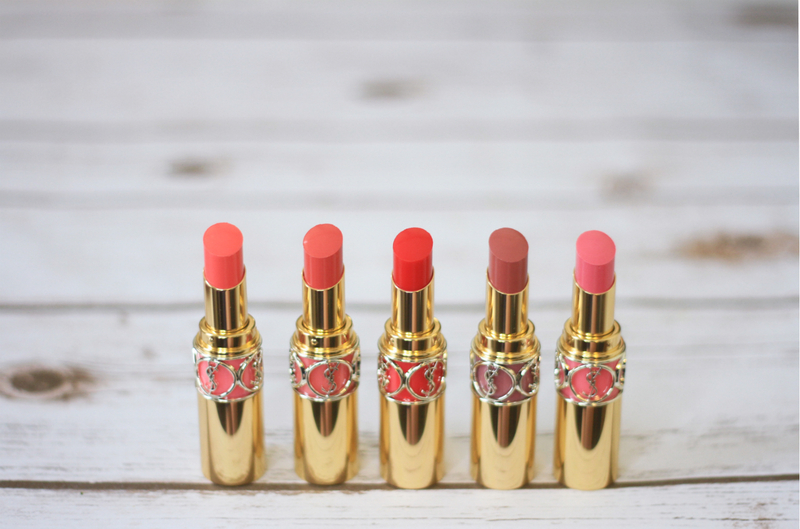 One of the first luxury lipsticks I ever bought was the YSL Rouge Volupte in #13 Peach Passion, and ever since I’ve been a big fan of the brand and their stunning product range. In February YSL launched their brand new Rouge Volupte Shine Oil in Stick range and I’m very excited to share swatches and my review with you today! I’ll start off by saying I’m not (usually) a fan of sheer/shiny lipsticks. I much prefer a matte finish packed with pigment & colour, so I was intrigued as to how much I’d like them but they pleasantly surprised me. Despite being super moisturising, they have a good amount of pigment which is fantastic (I would really hate to have spent £26 on a lipstick for it to not even show on my lips). To me they have a watermelon scent (which I think is supposed to be mango) and they seriously leave my lips feeling so soft and moisturised with a gorgeous juicy colour. My go-to is Beige Blouse which is a ‘my lips but better’ shade but I also adore #43. As usual with YSL products the packaging is just sublime and they have taken pride of place on my vanity desk. How any girl could resist these beauties is a mystery! I have completely fallen head over heels for these so much so that I haven’t worn anything other on my lips since getting them. They retail at £26 each and are available from YSL counters nationwide! OMG ! they are so beautiful ! perfect for Spring! I especially love Rouge Tuxedo. I am still need to try this range…hopefully soon. Oh they look so so pretty!!! I need some on my dresser!! As if the packaging alone wasn't beautiful enough, the colours are all lovely! My favourite is Beige Blouse, which is surprising since I normally tend to lean towards red shades. 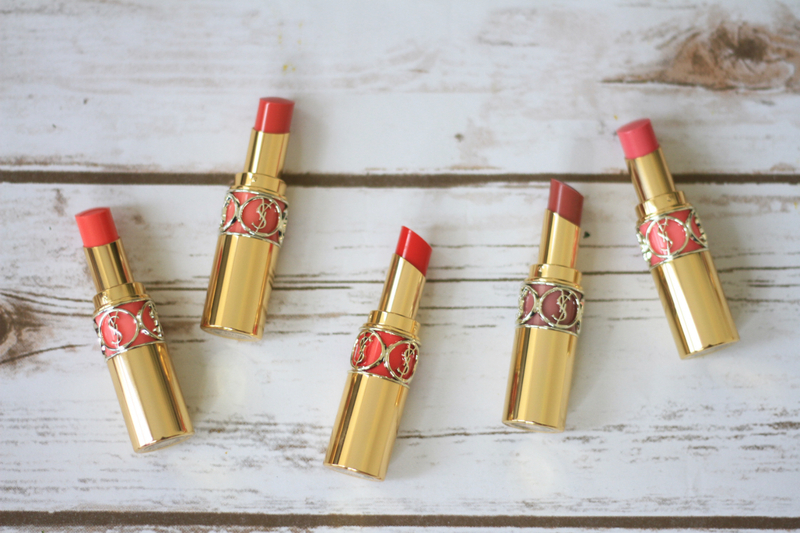 I love the YSL rouge volupt shines. #3 and #9 are my current favorites will need to pick up a few of these brighter one you showed. My first luxury lipstick purchase was a YSL Sheer Candy in shade #12. I loved it so much I went back a few days later and picked up another one in shade #5. YSL is the reason I am now so in love with lipstick because they are so moisturizing, smell amazing and have such a beautiful shade range. I sadly only have one of their Rouge Volupte Shines (#6) and I wear it all the time. It's a gorgeous bright pink. I may have to pick up Beige Blouse because it sounds like a perfect everyday shade! 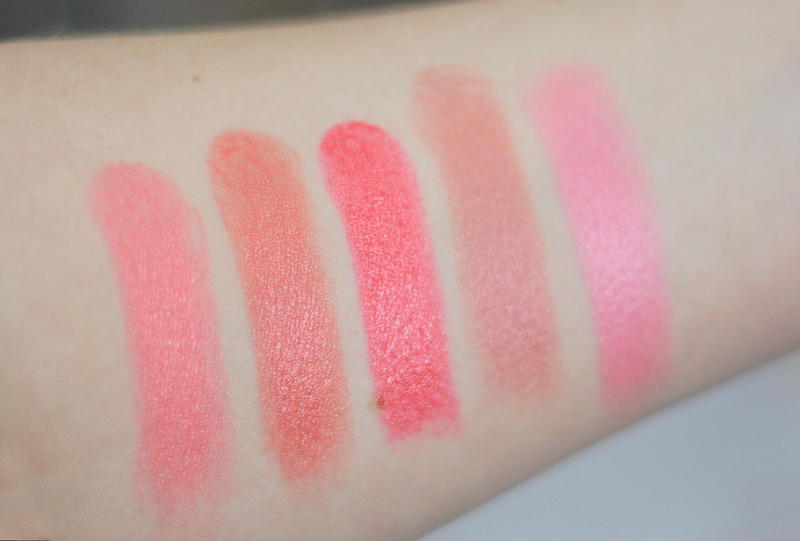 It's hard to pick a favorite by just looking at swatches, but Rose Rive Gauche and Beige Blouse look really pretty! I completely love Rose Rive Gauche I feel like it's the nicest peachy colour! OMG!!! They are all so very pretty. 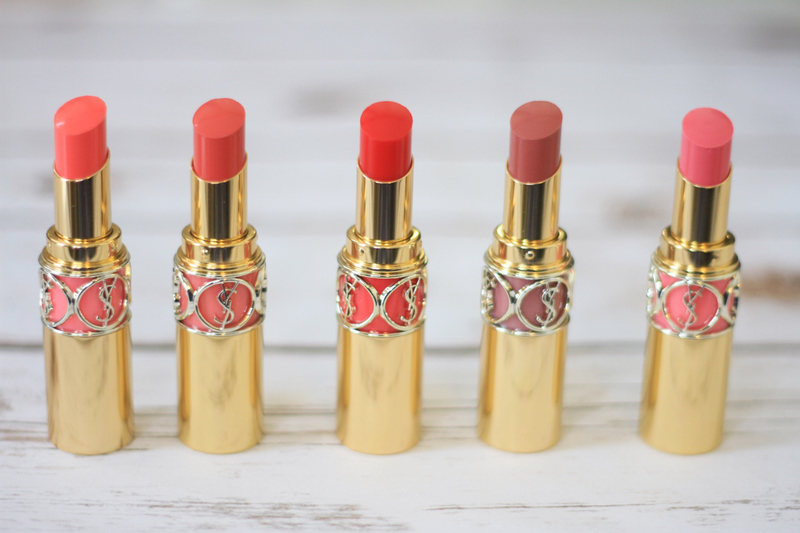 So perfect lip colors for Spring. Wow the packaging of these are abolsutely gorgeous!! #47 Beige Blouse, for work & play, Love the blog!